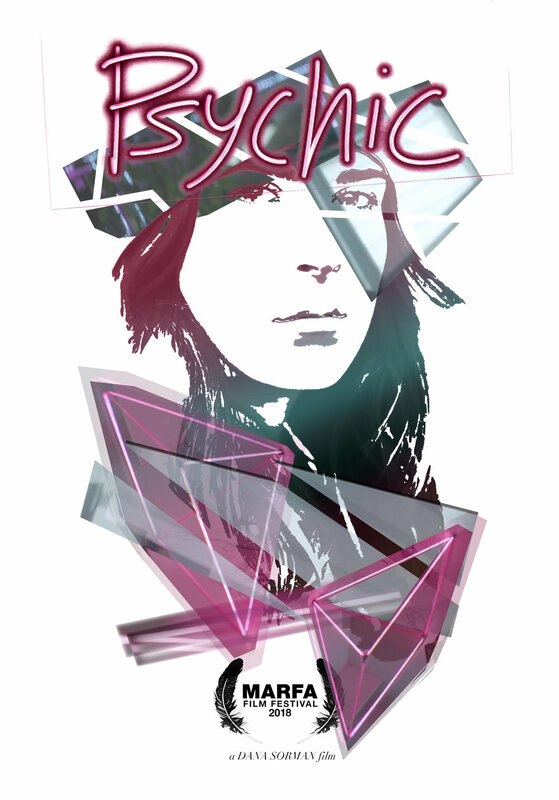 PSYCHIC visual images — creative human. artists include: nan goldin, todd hido, jo ann callis, william eggleston, cydney puro, seza bali, lisa solberg, daniel arnold, jason peters, akiko yamashita, erik messerschmidt. Dana Sorman is a filmmaker and multidisciplinary artist. She’s preparing to direct her first feature film about a woman who gets into a dangerous relationship with a PSYCHIC; based on her short of the same name (Official Selection New Orleans Film Festival; Marfa Film Festival 2018; NoBudge 2018; special screening at The Museum of Modern Art, New York). She previously made a living as an actress on television shows like GREY’S ANATOMY and LOST, including a two-season run on HARRY'S LAW starring Kathy Bates, after David E. Kelley continued to write for her after an initial audition for a two-line part. When the show was canceled, Dana became an art dealer by accident (but not mistake), creating a television pilot—PRICELESS—borne of her experiences selling art and observing our desire for attachment to secure our own worth. She’s developing a surreal biopic about Grant Achatz; the three-star Michelin chef of Alinea in Chicago. She began her career in Los Angeles from the receptionist desk of Mark Burg and Oren Koules' EVOLUTION and TWISTED PICTURES, after recording herself improvising with her own reflection in her bosses' bathroom mirror. The eight-minute, strangely funny, experimental BATHROOM CONFESSIONAL led to network tests at Comedy Central, NBC, CW, ABC and FOX; and a series regular role on the TBS pilot THE WEEK REDUCED. She is a graduate of the School at Steppenwolf and the Second City Chicago Conservatory. She has a BA in Journalism from the University of Wisconsin-Madison and completed a six month program at the Lee Strasberg Studio at NYU Tisch. She’s on the steering committee of the Eastside Women’s Film Club; and a member and social media strategist for the racial justice organizing collective—White People 4 Black Lives; working in solidarity with Black Lives Matter. Her writing takes many forms—live storytelling, essays, stand-up and slam poetry. And she still talks to herself in the mirror and deals art sometimes. Because, you know, it's cool. Ian Keiser began his career in film at 18 when he cast a young Jack Brayer (Emmy Nominated) in his first feature film role. Since then he has produced feature films starring such talent as Ruby Dee (Oscar Nominated) and Christopher Lloyd (Emmy Winner). Over the years, he has served as a producer and handled many of the celebrity bookings on Maria Menounos’ online network AfterbuzzTV. He has also spent time on charitable projects like the BoomPower web videos designed to educate women. His comic book series LILLIM was published by Image Comics in 2011 to rave reviews. Easy Open Productions is an independent film production company focused on financing and digitally distributing micro budget feature length films. Leigh Jones and Ian Keiser started Easy Open to provide content for the increasing demand for niche films in the rapidly growing digital space. Their relationships with talented and exciting young filmmakers puts their projects at the forefront of what’s happening and exciting in modern cinema. Since 2015, Easy Open has produced a dozen features; among them: HERE ALONE (Tribeca Film Festival, Audience Award), UNCLE KENT 2 (SXSW, Vision Audience Award), BEYOND THE GATES (Los Angeles Film Festival, Nightfall Award); THIS ISN'T FUNNY (Netflix Instant Streaming); and SUN CHOKE (Netflix Instant Streaming). Valerie Steinberg’s producing credits include HAIR WOLF (dir. Mariama Diallo; 2018 Sundance Jury Award winner for US Fiction Short Film), FRY DAY (dir. Laura Moss; world premiere SXSW; Student Visionary Award winner at the 2017 Tribeca Film Festival), SKETCH (dir. Mariama Diallo, Lincoln Center African Film Festival), and EVERYBODY DIES! (dir. Frances Bodomo), which is part of the premiere episode of the HBO series RANDOM ACTS OF FLYNESS, as well as the omnibus feature COLLECTIVE: UNCONSCIOUS (world premiere SXSW). She is also the Consulting Producer of Ash Mayfair's Vietnamese period drama feature film THE THIRD WIFE (world premiere at the 2018 Toronto International Film Festival, where it won the NETPAC Award). Valerie earned her BA at Yale University, where she majored in Philosophy and Chinese, writing her thesis about the persistence of personal identity through time. At Yale, she was also in an all-female comedy group called The Sphincter Troupe, served as a board member of the Women’s Center, and produced an all-female production of The Rocky Horror Show. She is dedicated to producing work that empowers diverse female voices. Katie White worked with the Sundance Institute as their Panels Producer for the 2018 Sundance Film Festival. She produced the Time, Inc. & Netflix Original Documentary, THE MARS GENERATION (Sundance 2017), an in-depth film about the history of the politics, philosophy, and technology of our space industry, and the younger generation who will be the first to bring us to Mars. Her producing career began in Boston, MA with Zeno Mountain Farm, a non-profit collective of friends with and without disabilities; focusing on community-based art and film projects, employing diversity as an essential part of the creative process. Katie brought this ethos to L.A. where she worked with acclaimed Documentary and Commercial Director, Michael Barnett at his company Superfilms! Media, producing branded and commercial content for clients such as CMT, Riot Games, Disney, CBS, and Logitech in the US, South Korea, and France. Recently, Katie produced COMEDY VIDEOS (dir. Peter Lazarus) and THE HOMECOMING, a feature-length musical with an integrated cast and crew in association with Zeno Mountain Farm. She is co-founder of the Eastside Women's Film Club, a space for women in film to communicate, share, grow and create a safe space for ideas to incubate, based on the Eastside of LA. Caity Birmingham grew up in the Midwest and attended film school in Chicago before moving to Los Angeles in 2009. Since arriving in Los Angeles, she has production designed twelve feature films, including The Wise Kids, and Henry Gamble's Birthday Party, both directed by Stephen Cone, Animals, directed by Collin Schiffli, and The Fixer, directed by Ian Olds. In 2013, she became a member of the Art Directors Guild. She has also worked as art director on Gregg Araki's White Bird in a Blizzard and Sonny Mallhi's Anguish, and as set decorator on Medeas, directed by Andrea Pallaoro and Just Before I Go, directed by Courteney Cox. Her diverse art department experience also includes work on independent features such as Like Crazy, Little Birds and The Moment, and sketch comedy for web and television, including Funny or Die, HBO, Comedy Central, and The Tim and Eric Awesome Show. She also production designed seasons 3, 4 and 5 of IFC's Comedy Bang! Bang! and, most recently, season 2 of IFC's Documentary Now! Sadieh Rifai plays Mahtma El-Mashad on the Amazon Prime series THE PATRIOT and will next be seen on the Ava DuVernay produced CBS drama REDLINE. This summer she co-stars in the world premiere of Ellen Fairey’s play SUPPORT GROUP FOR MEN at Goodman Theater. She is a an ensemble member at American Theater Company, where her credits include the world premiere of THE HUMANS (Jeff Award nomination for Best Ensemble), THE AMISH PROJECT, and SPEECH AND DEBATE (After Dark Award for Outstanding Performance). Other Chicago credits include SKI DUBAI (Steppenwolf First Look). Sadieh frequently collaborates with acclaimed indie filmmaker Stephen Cohen (THE WISE KIDS, THE MYSTERY OF LIFE). Sadieh and her brother, Adal Rifai have a podcast on ITunes called SIBLINGS PECULIAR that is completely improvised and features some of the greatest improvisers in the country. She is a graduate of the School at Steppenwolf and received the Princess Grace Award in 2011 in New York and got to meet Julie Andrews. Leah Kaplan has performed in regional theatres from coast to coast, as well as corporate gigs, short films and performance art events. She studied performance at Northwestern University, Yale University, and UCLA before training in the Meisner technique with Robert Mello and Monica Payne. When she’s not living truthfully under imaginary circumstances, she runs Thunderbolt Ayurveda, a holistic health counseling business that assists individuals to incorporate the ancient wisdom of Ayurveda into their modern lives. At the age of 10, she met Dana Sorman at summer drama camp, where they had competing string bracelet businesses. Both businesses folded, but their friendship continues to this day and Leah could not be more proud to be a part of her brilliant friend’s vision.